Hi Everyone! 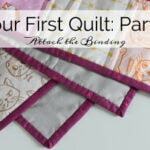 I’m excited to share Part 3 of my Your First Quilt Series… Quilting! I really tried to simplify this process for you and take some of the intimidation out of it. 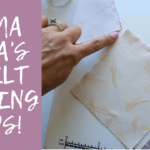 There are so many amazing tips and tricks, details and tools to learn about beginner quilting – but they don’t need to be done for your first quilt. As I’ve said since the beginning, I want you to finish Your First Quilt. That means simplifying the process so that it’s not overwhelming ;). Did you miss Part 1 or 2? Click Here for part 1 and HERE for part 2. 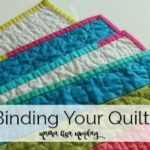 Machingers are great for your 2nd or 3rd quilt. You don’t need to buy them, but they are good to be aware of. 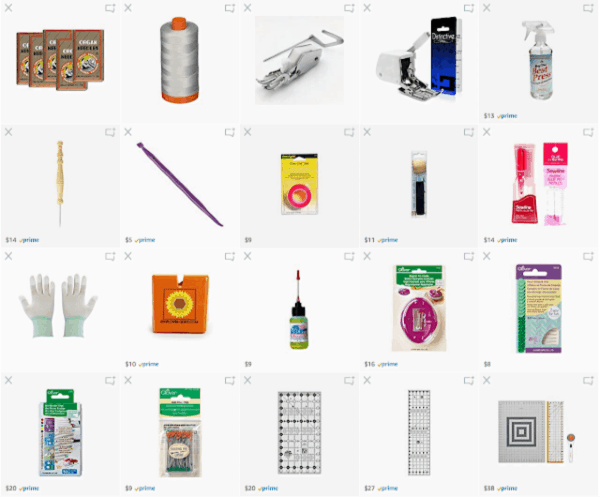 If you’re planning to order any supplies on Amazon, I invite you to check out my store. 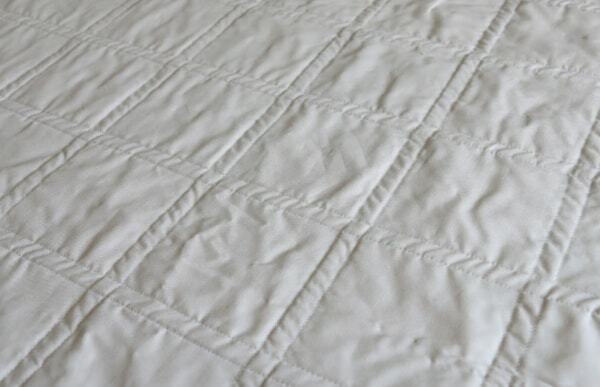 I have a Quilting section with my favorite products that I mention in the series. *These are affiliate links so I earn a small commission if you purchase, but it’s of no extra cost to you. 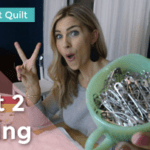 This is my favorite way to teach beginners how to quilt. 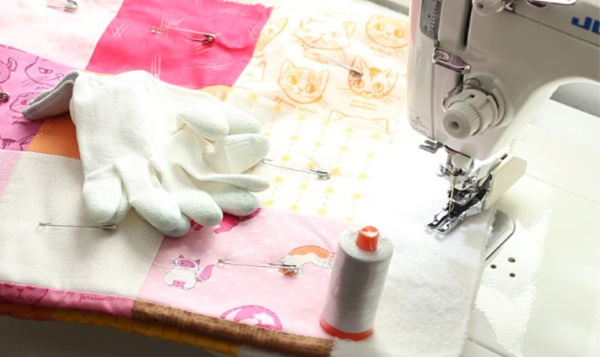 It’s more of an echo quilting technique where you use the presser foot to follow the seam line and make a new stitch. This is very forgiving, has a nice drape and is a great way for beginners to learn in my opinion. I hope you enjoyed the tutorial, here is the video! 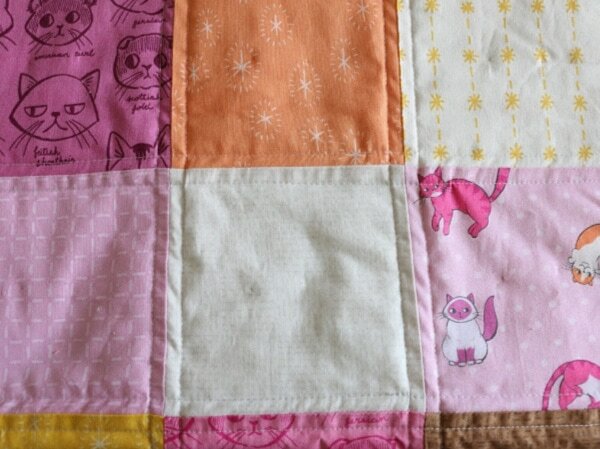 Here is the back of the quilt so that you can see it clearly. The video shows the more of the actual stitching if you need those details. I really like this series. I like when you show a close up when you explain things. Appreciate you sharing what things you use to quilt. Looking forward to the next video. I meant crochet. I’m afrikaans so please forgive me if I make mistakes with my spelling. I’m Madelein from South Africa, a small town called Vredendal close to the west coast of South Africa. I’ve been sewing for many year mostly clothes just started to try new thing like quilting and decor items and bags and I knit and chochet also. I just wanted to say thanks for your great tutorials/video’s on you tube. I watch one of your video’s and was hooked. Since then I can’t stop watching and learning new stuff ons sewing, quilting and chochet. I am just starting quilting and your video’s help me so much. Quilting in South Africa is very expensive so I’m saving so I can buy myself the fabric in December when I’m on holiday from work. Keep doing your crafts, you are very good and teach us the right way.